Please let me know as soon as the new season Virgo Extra Virgin Organic Olive Oil is available. Unfortunately, due to the on-going drought a 2018 olive harvest is unlikely. 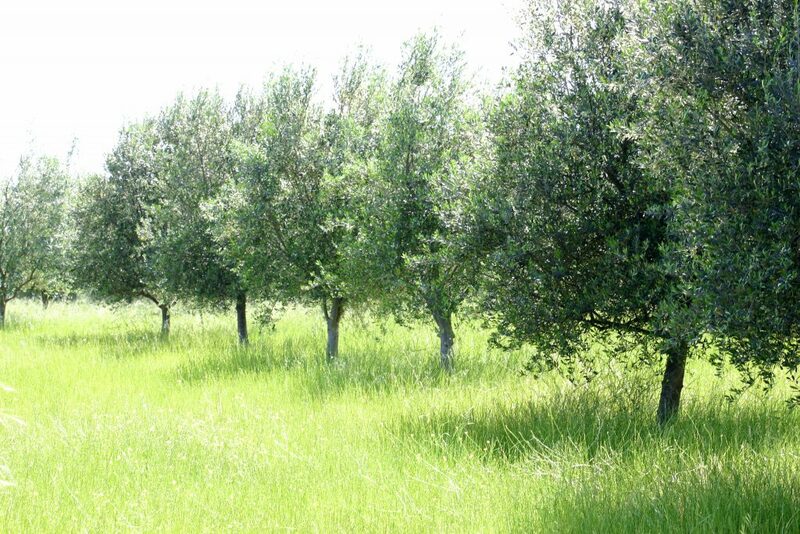 Our VIRGO extra virgin organic olive oil is made from the 6,000 ORGANIC olive trees growing on Elmswood Farm. The grove is in two sections on either side of the property. We planted our first trees in 1997. This year our organic olives were harvested in small batches. We bottle in small batches too. (In other words, we don’t mix it all up and do one bottling). It’s interesting to taste the differences in the varieties. But as a home cook, I don’t really fuss over each and every oil we produce. Rather, I focus on freshness, and that is something I hope you appreciate too. Every time I splash our VIRGO organic olive oil over a salad I have a flash of appreciation that this oil is so full of nutrition produced without one single chemical dumped over the orchard! We grow organic/biodynamic olives, press them for oil and bottle. The idea is simple because food should be simple. For those who purchased our Fresh and Unfiltered this year you would have noticed it was a strong oil. Perhaps, if you tasted it straight from the bottle you may have been surprised by the bitterness or pungency or a peppery taste. That was because the polyphenol percentage was mega high. I was very excited by this. What a powerful punch of nutrition and flavour. So much Vitamin E! We don’t store oil from year to year, trade, mix and blend with last year’s oil. We tell you on the bottle the year/month of harvest. This proof of when it was made, does away with the need to recommend a use by date. Knowing when an oil is made is your best insurance for freshness. When you start off with a high polyphenol reading you know the oil will last well during the next year. Our oils are tested at the NSW DPI Lab at Wagga Wagga. Elmswood Farm is a fully certified Biodynamic/Organic farm. We use no synthetic fertilisers or any chemicals in the management of our grove. Our grove isn’t the tidiest grove. We do not focus on the look of it – though we think it is very beautiful, but rather, pay attention to the health and survival of the trees. Sheep graze the grove to help manage the grass cover. We soon realised after planting that the biggest obstacle we were facing was the volume of water needed to maximise production. We live on an unregulated river, The Pages, and when it goes dry there’s simply no water. Consequently our olive volume fluctuates. plus a few hundred trees of Arbequina, Pendolino and Picual. Extra Virgin Olive Oil is a sensational product. It’s been eaten for thousands of years and is a time-tested natural, healthy food. It’s made by crushing the olive fruit ( pip and all ) mixing it up, then separating out the oil. Each batch made will be slightly different in flavour. It’s best when just made. Think Fresh is best. This way you’ll maximise the health benefits. It doesn’t keep with age (unlike wine). But like wine, the flavour profiles of different oils is distinctive. It can be used in baking, deep frying, salad dressings, roasting and braising… Basically I use it for everything. It’s a foundation ingredient in the Mediterranean Diet. High vitamin levels of E, A and K, and a source of anti-oxidants. Olive Oil is primarily a mono unsaturated fat. ‘Fresh and Unfiltered’ VIRGO EXTRA VIRGIN OLIVE OIL is bottled straight after harvest and only a available for a limited time. Organic Olive Oil is made by putting organic olives into a crush then mixing it up to release the oil. Then it’s separated out. However, as the oil settles in the vats small pieces of olive pulp fall to the bottom, and unless this is removed it will eventually shorten the shelf life of the oil. So most olive oil is filtered to keep it pure and long lasting. I can guarantee there won’t be fresher biodynamic olive oil anywhere unless you’re at a processing plant with a cup in hand. Autumn is such a wonderful time to eat mushrooms and roasted vegetables like capsicums, eggplants, and whiz the last of the basil into pesto. This unfiltered oil, treated as a condiment rather than a cooking oil, is perfect for such food. Slice good bread and toast over an open flame for that smoky flavour, rub with a cut piece of garlic, (optional) drizzle with unfiltered olive oil, grind good salt over it and voila! A perfect addition to a bowl of soup, or even on its own. As one can appreciate the difference between an orange squeezed and drunk immediately and one that may have been squeezed hours or days earlier. Organic Olive Oil is best when it is fresh, that is why we always state on our bottles when it was made so you’ll feel confident in what you’re buying.